The summer of 2017 will bring 11 new additional routes and 15 new regular services to Faro Airport. Budapest, Dresden, Erfurt, Göteborg, Lille, Muenster, Newquay, Nice, Warsaw, Maastricht and Ostend are the major highlights of Algarve in the IATA Summer of 2017. The 17% increase in the global offering of seats to and from the region of Algarve this summer, estimated at 8.4 million seats, consolidates the recorded ongoing growth trend. This increment will represent, in the season, an estimated increase of one million seats to the regular seat offering, in comparison with the same period in the previous year (2016 summer). 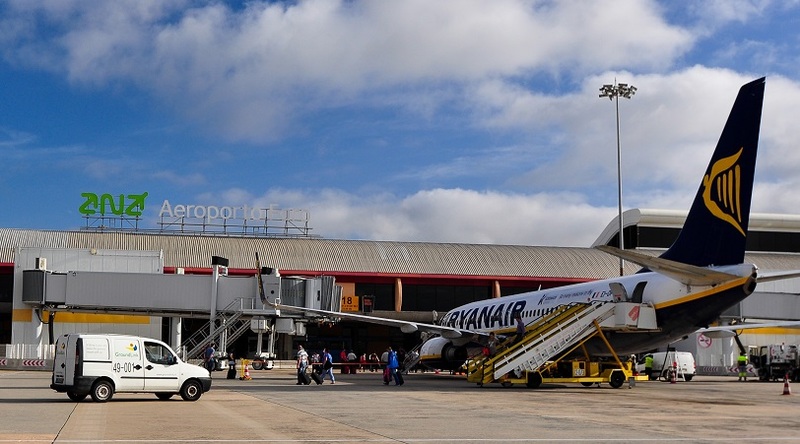 In the season now beginning, Faro Airport and the Algarve region will be connected to more than a hundred airports in 20 countries, and will be served by over 50 regular airlines. Concerning the markets, the big highlight of this IATA Summer goes to the United Kingdom, Germany and France. The United Kingdom will maintain its usual relevance and will be connected to the Algarve region by more than 30 airports. With an expected growth of 15% in the overall seat offering, this market may reach, by the end of the IATA Summer of 2017, a market share slightly above 50%. The German market has a remarkable growth in the overall seat offering (about 26%), with three new routes (Dresden, Erfurt and Munster), served by the Germania airline, with a reinforced search for Algarve as a tourism destination of choice. Also noteworthy in this segment is the reinforcement in the connectivity to Frankfurt by Ryanair, which will ensure a new daily service to this hub, one of the main and most important hubs in Europe, and will be served this summer by three airlines from Faro: Lufthansa, Ryanair and TUI. The French market, which in the previous season presented an unusual growth in demand for Algarve as a tourist destination, will be connected to Faro Airport via 10 airports and will consolidate a high growth, of around 30%, in the offering of seats, if we consider the same period of the previous year. 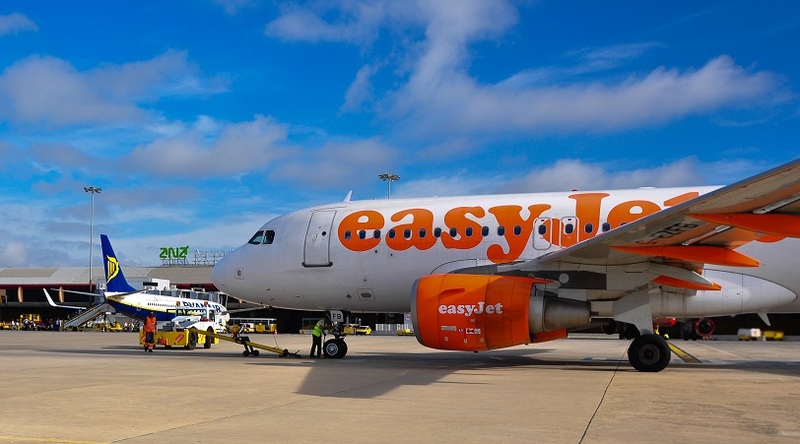 There will be two new routes between Algarve and France (Lille and Nice by EasyJet) and four new regular connections will be launched: Bordeaux, Marseille and Nantes by Volotea and Paris by EasyJet. Today’s ceremony includes the presence of the Minister for Planning and Infrastructure, Pedro Marques, the Mayor of Porto, Rui Moreira and the Chairman and CEO of ANA, Jorge Ponce de Leão. The event also includes a video statement of the Director General of the Airports Council International (ACI) Europe, Olivier Jankovec. This year, Porto airport is for the tenth time in the top 3 of ACI’s European ranking, this time having actually been selected as the best airport in Europe in the category of airports with dimensions between 5 to 15 million passengers. In the 2006-2016 period, no other airport in the old continent has had more presences at the top of the rankings. In addition, growth in traffic volume has set new records year after year. To maintain the level of excellence, the quality of service and the ability to respond to the predictable increase in demand, ANA Aeroportos de Portugal (VINCI Airports) has a demanding plan of investments. 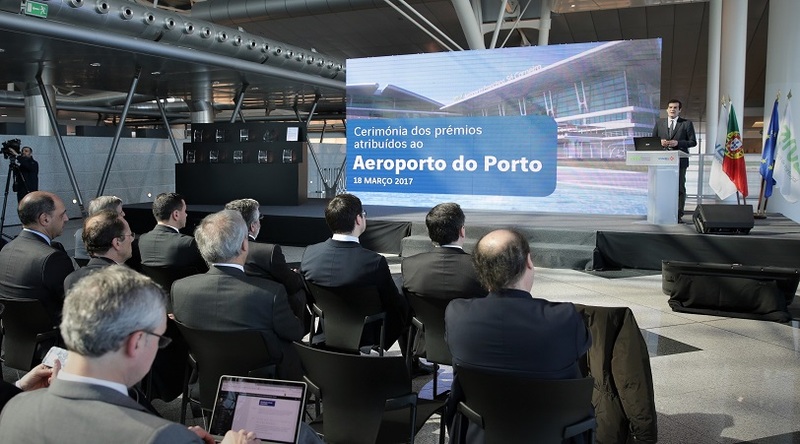 In addition to the presentation of the new investments and celebration of the prize for best airport in Europe for infrastructure with 5 to 15 million passengers by the ACI – Airports Council International, the Gold Medal of Merit will be awarded to the Airport’s Director, Fernando Vieira, by the Mayor of Porto. ACI’s distinction comes within the scope of the Airport Service Quality (ASQ) study, the leading worldwide benchmark in the Evaluation of Passenger Satisfaction – 2016 Airport Service Quality (ASQ) Awards. The results of this study are based on questionnaires filled out by passengers who thus transmit their opinion about 34 indicators, namely regarding the services offered by the airports in terms of customer service, waiting times, staff courtesy, cleanliness of facilities and comfort. These honours are additional positive features to Porto’s international attractiveness, adding to the recently won title of “Best European Destination 2017”, by European Best Destination. In 2016, the volume of traffic at Porto Airport followed this positive dynamic and registered 9.4 million passengers, 16% more than in the previous year. To make this continuous, accelerated, double-digit growth sustainable, ANA presents an investment plan based on several key areas such as increased capacity in runway movement, processing of passengers/hour, and luggage/hour, boarding gates etc. The investment plan also includes an increase in the number of luggage belts, walk-through security screenings and check-in counters. The runways, taxiways and platforms, the Passenger Terminal building, the operations buildings (cargo, handling, other) and the accesses and parking will also be targeted. The amount of investment and its time delay will be defined according to the needs. The Hoti Hotéis Group inaugurated yesterday, 15 March, its most recent hotel unit: Star inn Lisbon – Smart Choice Hotel. 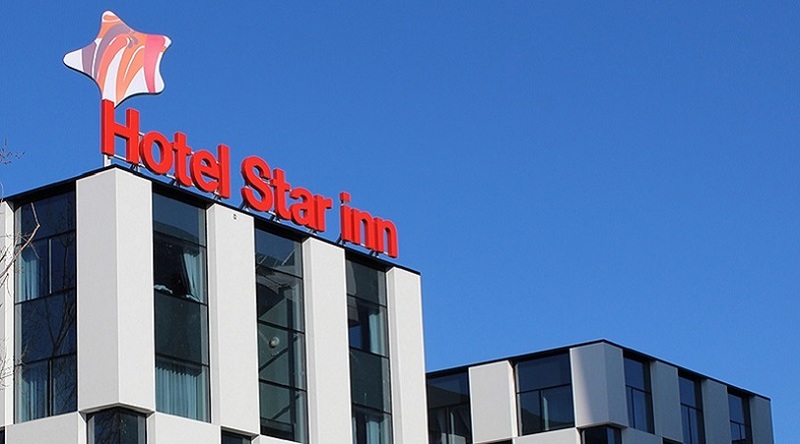 The new Star inn Lisbon is the result of a partnership between ANA and Hotti Hotéis group, consisting in a rehabilitation and conversion of typology performed on building 125 of the Airport, previously intended for offices. With a total investment value of around 8 million euros, fully supported by the Hotti Group, this project is the second hotel unit built at Humberto Delgado Airport, increasing its hotel offer by 173 rooms to a new total of 341 rooms, thus significantly reinforcing the services provided to its users. The new hotel unit stands out for its location and philosophy – a smart choice hotel which accompanies the evolution of the current tourism trends, offering an excellent quality/price ratio. Star inn Lisbon is located next to Terminal 1 of Humberto Delgado Airport, with direct access to Segunda Circular/A1 – Lisbon’s main road entrance. Porto Airport, was chosen by ACI – Airports Council International as the best in Europe among airports with dimensions from 5 to 15 million passengers. The award follows the Airport Service Quality (ASQ) study, the leading worldwide benchmark in the Evaluation of Passenger Satisfaction – 2016 Airport Service Quality (ASQ) Awards. The results of this study are based on questionnaires filled out by passengers who thus transmit their opinion on 34 indicators, namely regarding the services offered by the airports in terms of customer service, waiting times, staff courtesy, cleanliness of facilities and comfort. In this evaluation, Porto Airport was also chosen as the third best in Europe in the category of airports with over 2 million passengers. “We are proud to find out we were once again chosen by our passengers as one of the best airports in Europe. 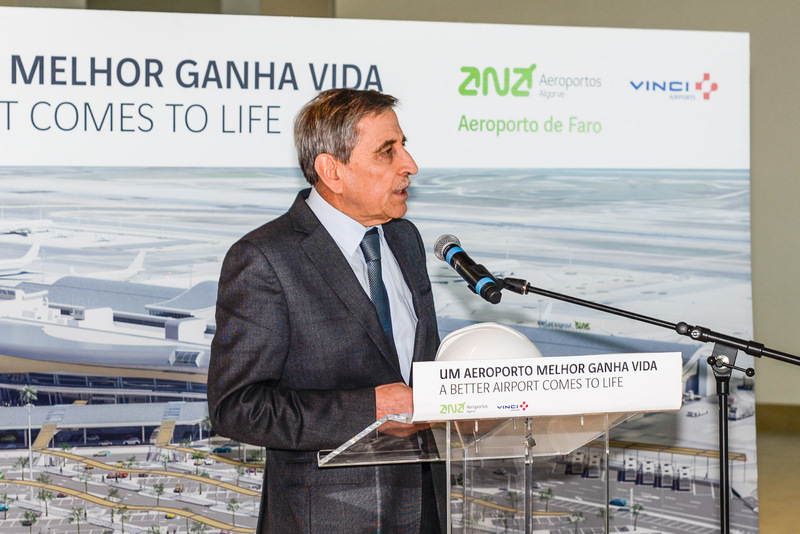 This is our ninth award in the past ten years and it is especially important for us at a time when the number of passengers at the Porto Airport surpassed 9 million, resulting from a 16% growth vis-à-vis 2015”, commented Jorge Ponce de Leão, CEO of ANA Aeroportos de Portugal (VINCI Airports). “These awards also show that we are implementing the right strategy when focusing on measures toward raising awareness and mobilizing resources and service providers for the continuous improvement of the quality of service provided to passengers”, added Jorge Ponce de Leão. Between 2006 and 2011, Porto Airport ranked consecutively in the top three places, obtaining first prize in 2007. After a one-year hiatus, it was once again awarded in 2013, 2014 and 2015 with the third place, a place it now wins back. This year adds a victory in the category of 5 to 15 million passengers per year, in Europe. This distinction is another positive addition to Porto’s international attractiveness, adding to the recently won title of “Best European Destination 2017”, by European Best Destination. The German Airline Condor has just opened a new route to the region of Madeira, this time from Hannover. The airline will offer one weekly frequency, on Thursdays, using an Airbus A320 with capacity for 180 passengers. Condor already connects the Madeira Island from Frankfurt, Munich, Dusseldorf, Stuttgart, Hamburg, and Leipzig. Hannover will be the 7th connection to be offered out of Germany by Condor. Also, Condor will start flying to Porto Santo this Summer from Dusseldorf. Madeira Airports prepared a reception for the arriving passengers, offering Madeira wine and flowers. 2016 was yet another year of records for Portuguese airports. In total, 44.477 million passengers, a new high resulting from an overall growth of 14.2%. All airports grew vis-à-vis the previous year. The highest growth rate was in Faro Airport with an increase of 18.5%. Humberto Delgado Airport, in Lisbon, registered the highest number of passengers, reaching 22.4 million, up 11.7% from 2015. Since the privatization of ANA, Lisbon Airport grew by 7.2 million passengers. It should be noted that throughout 2016, every single month constituted a record in the number of passengers at Humberto Delgado Airport. Growth is based on several factors, through the joint efforts of VINCI Airports and ANA marketing teams to attract new airlines and new routes and to reach more destinations while, at the same time, investing in the improvement of customer service in airports, both operationally and from the user’s perspective, improving conditions, creating new services and new areas that allow a better user experience with more quality. In 2016, 69.2 million euros were invested in Portuguese airports by the concession holder on operational improvements and on new commercial areas, with the installation and upgrade of new shops and with the creation of new passenger circulation paths and more-comfortable and practical common areas to improve passenger experience. 2017 will be another year with strong investment, amounting to 71.1 million euros. The Concession Agreement between the Government and ANA provides for the start of the process regarding the expansion of Lisbon’s airport capacity. According to the Concession Agreement, ANA suggested an alternative to develop Lisbon airport’s capacity. The slots request and allocation process in Lisbon shows the continuation of strong growth in 2017, confirming the urgency in the development of measures to expand this airport capacity. As a consequence, a Memorandum of Understanding was signed today between the Government and ANA, establishing an integrated solution which includes a new Master Plan for Humberto Delgado Airport to extend it to its maximum capacity and enhance its competitiveness as an international hub, and the civilian use of Montijo air base for complementary point to point capacity. The Master Plan that is currently being developed by ANA, together with the other stakeholders, will allow to expand the airport system’s capacity while accompanying the airlines’ strategic development. As for the complementary point to point capacity, the Government recognizes Montijo as the most advantageous solution for additional airport capacity, and ANA commits to develop the required additional studies, in collaboration with various entities, such as municipalities and the Air Force. These studies will, for example, refer to the need to guarantee both military and civilian use in Montijo, an analysis of environmental impacts, and the identification of the necessary accessibilities to guarantee the correct integration of the infrastructure. Several studies have already been carried out and all of them, including the technical studies commissioned by ANA or NAV, concluded in favour of Montijo’s advantages versus alternative options. A working group established by the Government also concluded in favour of the validity and capacity of that solution in terms of civil air navigation. 2016 ended with 66 airlines operating in Portuguese airports, vis-à-vis the 58 recorded at the end of 2015. The number of destinations was 149 and it were established 27 new routes. ANA’s new website was awarded a special mention at the Digital Awards of the Moodie Davitt Report, an electronic publication of Moodie International, a relevant specialized and independent British publisher renowned in the field of collection and distribution of Business-to-Business multimedia information. The Digital Awards annually reward the best practices in the use of digital channels in the relationships of the airport industry’s entities with their trading partners. Already in its 4th edition – the most demanding in terms of quality of the applications submitted, as can be read on this annual event’s dedicated website –, the Moodie Davitt Report’s Digital Awards’ Special Mention of ANA/VINCI in the Best Website category represents a strong incentive to the continuation of the investment the company has been carrying out in digital to reinforce the relationships with business partners and customers. ANA’s new website was launched at the beginning of last September as to be in line with VINCI Airports’ digital strategy for the airports it manages around the world. • update to the tone of voice, more familiar and clearer; as well as a new design, more appealing and practical. The new functionalities and the image of this new generation of digital platforms made their debut in Portugal at ANA and will only then be implemented in VINCI Airports’ remaining regions. In 2016, a total of 7,632,857 passengers travelled through Faro Airport (ANA/VINCI Airports), a number which constitutes a new record and represents a growth of 18.5 per cent vis-à-vis 2015. The number of movements increased 18.7 per cent to 53,427. In the past few years, the number of passengers and movements has been growing above expectations and to adjust the terminal’s capacity to the demand increase and to meet the expected evolution in operations, which require considerable traffic, there are ongoing expansion and remodelling works that, in total, imply an investment of 35 million euros from ANA/VINCI Airports. We also seek to integrate the Terminal Area into the city of Faro’s new concept of land accessibility. The construction works are expected to end this July. The actions began in 2009, with the construction work, which will increase the terminal’s boarding and disembarking capacity from 2,400 to 3,000 people per hour, now taking place. The terminal will grow from 81,200 m2 to 93,120 m2. The security and retail areas, which have gone unchanged since the end of the 90s, will also be revitalised, reshaped and expanded. This adjusts the passenger terminal’s capacity to a new system of runways which allows 30 movements per hour, instead of 24, and parking of 30 to 37 aircraft. The opening of the new security control area is expected to take place during the 1st quarter of the year and will enable increasing the current 11 processing lines to 17. During that same period, the Check-in 1 area, whose expansion is integrated in the expansion of the departures and arrivals public hall along the building’s entire north face (6,324 m2), will also open. Blue Air, the hybrid low cost airline, announced today a new direct connection between Turin and Lisbon, becoming Blue Air’s second route to Lisbon Airport, as it began flights from Bucharest in June this year. The new flight to Turin starts on the 1st of June 2017, three times a week and will be operated with the company fleet aircraft, Boeing 737-500 with a capacity of 120 seats. Interestingly, Lisbon passengers can take advantage of Blue Air’s extended offer of further connections to several Italian destinations via Turin, namely, to Alghero, Catania, Naples, Rome Fiumicino as well as Lamezia Terme. The airline flies to over 90 destinations and has eight operational bases: Bucharest, Bacau, Cluj- Napoca Constanta, Liverpool, Iasi, Larnaca and Turin. ANA Aeroportos de Portugal is very pleased with this announcement and reinforces that this new route will contribute not only to increase Lisbon Airport’s connectivity and multiplicity of options for outbound passengers but also to the ever growing number incoming tourists to Portugal.